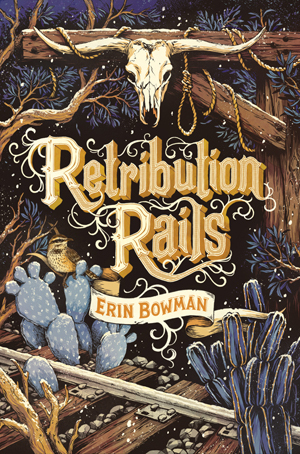 Very rarely does my most anticipated books live up to my own hype but Retribution Rails lived up to my hype and more. It was everything I hoped it would be. This book follows two very different characters. Reece is a well know outlaw and Charlotte is ambitious and trying to provide for her newly widowed mother. The two of them are unwillingly have their paths crossed and adventures follow. Charlotte and Reece are such well written, complex, and amazing characters. I loved them so much. Each of them had great qualities and wonderful character development. The writing style was just as fantastic as it was in Vengeance Road. Erin is such a talented writer and I’ll always read whatever books she puts out. Retribution Rails’ plot is completely different from Vengeance Road so it wasn’t repetitive at all. Even though RR and VR are companion novels, you can definitely read each on their own (But I totally recommend reading both because they’re so good). Overall, Retribution Rails was everything I hoped it would be and more. I loved everything about it and I’m undoubtedly going to be rereading it soon. If you’re looking for something fresh, creative, and extremely entertaining, I highly recommend Retribution Rails.